Farrar, Straus and Giroux (BYR), 9780374399436, 32pp. Rosemary knows what it's like to be an only child: there are grownups everywhere! Brothers and sisters are what she wants. Even when they argue, it's like belonging to a special club, she thinks. How can she get a larger, more lively family? Rosemary is stumped, until she discovers some "only" creatures and figures out a way to bring home what's missing in her life. Humorous illustrations that pop with personality show Rosemary growing from a bewildered baby surrounded by too many hovering adults to a confident backyard ringmaster who proves that being an only child can be fun! 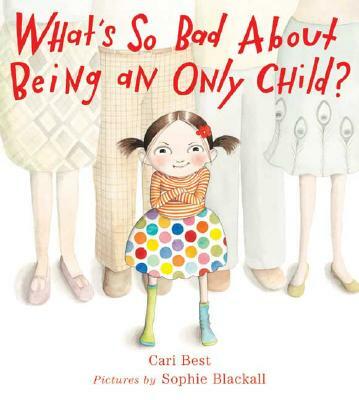 CARI BEST's most recent book is "Sally Jean, the Bicycle Queen," a "School Library Journal Best Book of the Yea"r. She lives in Weston, Connecticut. SOPHIE BLACKALL is the illustrator of "Meet Wild Boars," a "Bulletin of the Center for Children's Books" Blue Ribbon selection. She lives in Brooklyn, New York.